What Trump's Election Means to Police — And Police Reform The election of Donald Trump is a balm to police around the country, who say they have felt under siege. But others in the law enforcement community expect reforms to departments' methods to continue. A member of the New York Police Department stands in front of Trump Tower to provide security to U.S. President-elect Donald Trump on Thursday in New York. "I've seen a level of resolve and commitment on the part of our membership unlike any in some long time," Pasco says. While departments have a number of practical concerns — such as seeking more federal grants for training and equipment — Pasco says some enthusiasm comes out of officers' sense of being under siege. "Police officers are not seen with the level of respect and esteem that they might have been in the past," Pasco says. Throughout his campaign Trump gave them some of that official recognition. "These are spectacular people — sometimes underappreciated, unfortunately, but we appreciate them, we know what they go through," the president-elect said on Tuesday night. Just those few words were a high point of the evening for Trump supporter and retired police detective Joe Locus. "It just shocked me," Locus says. "With all the anti-police rhetoric that's been going around, it was just refreshing. That's what really drew me to Donald Trump in the first place." Activists for police reform, on the other hand, say Trump's election will reinforce the idea that the criminal justice system doesn't need fixing. "I think people are trying to figure out what to do next, what it means to organize — in a Trump era, and in a 'post-truth' era," says DeRay Mckesson, a prominent member of the Black Lives Matter movement. "[Trump] continues to act as if racism is not a real thing in this country," Mckesson says. "It's that worldview, that in practice, in policy, has the potential to have dire consequences for people of color." Mckesson says he worries that the next administration will pull back on the Justice Department's willingness to investigate civil rights violations by local police departments. The Obama administration made heavy use of the department's power to threaten lawsuits to force departments to reform themselves. But Pasco says that, under Obama, the Justice Department was too adversarial in the way it used that power against police departments — at least, at first. He says the department conducted a "virtual jihad" against police departments, imposing on them remedies that he calls "mindless and vengeful." Things have improved significantly in the past few years, he says, as new leadership in the Justice Department Civil Rights Division has shifted to a more collaborative approach. I know a lot of police chiefs, very progressive-minded police chiefs, who recognize that they need to make some changes in order to keep up with the demands of society. Nevertheless, those early confrontations left a legacy of resentment among many police officers, who are looking forward to a fresh start with a new administration. 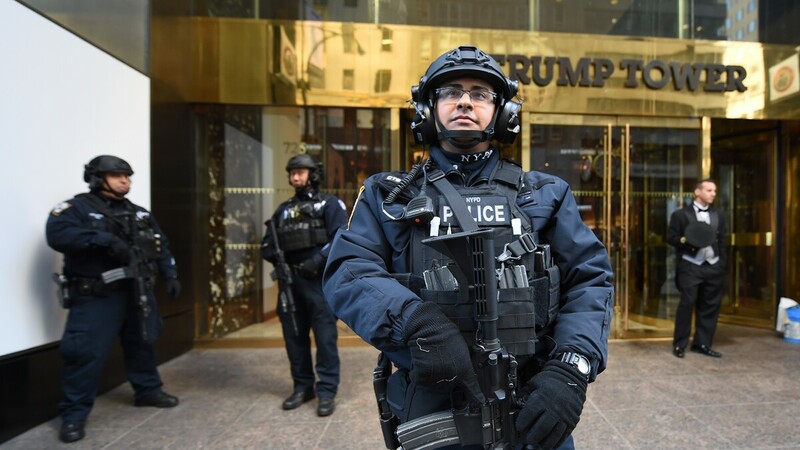 Ultimately, however, presidents have very limited power over police, says John Pfaff, a professor at Fordham Law School who studies the causes of the nation's booming incarceration rate. "It's important to realize how much criminal justice is a local issue," he says. "While Trump was getting elected, in many states — blue and red alike — were also passing criminal justice reforms, and voting out tough-on-crime DAs." There also may be enough momentum within individual departments to keep reforms going. "I know a lot of police chiefs, very progressive-minded police chiefs, who recognize that they need to make some changes in order to keep up with the demands of society," says former Philadelphia Police Commissioner Charles Ramsey, who served as co-chair of the police reform task force set up by President Obama after the turmoil in Ferguson, Mo. "The issues that really face us aren't going to go away because of an election," he says — a point echoed by Locus, the retired detective. "That's the one thing that probably some won't admit, is that we do need change," he says. Locus welcomes body cameras, and he would like to see more standardized training. "If we're to keep up with the times and not have such a war on police," he says, "we do need to change and be one with the community."